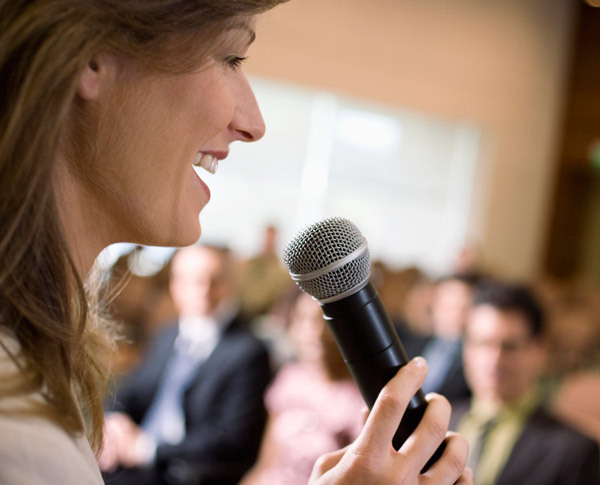 Our presentation microphone and speaker systems can be tailored to suit any venue or audience numbers. 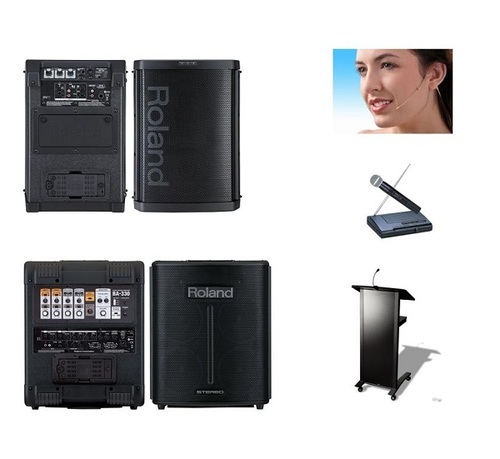 We have the latest in low profile speakers and digital equipment including up-to-date wireless microphones, both headset and hand held. Our battery-powered systems are ideal where mains power is not available. We can also supply you with a data projector and screen and have this all set up ready for your event. We will deliver and set up the equipment at your venue and collect it after your event, all at a time that suits you. Our long term clients who regularly use our services include real estate agents, local and state government departments, retail outlets, corporate presenters, professional associations, trainers and many more. Give us a call on (07) 3325 2433 or 0417 638 155 – we are more than happy to spend the time to assist with your planning. Dual speaker system with roving microphones set up for a Q&A forum for a Queensland Government department. Single powered speakers - 10" or 12"
all leads, cables and stands. Perfect for audiences up to 100 people. Dual powered speakers - 10" or 12"
Perfect for audiences of over 100.
podium microphone and lectern available for professional presentations. * All prices are inclusive of GST. Additional delivery charges may be applicable for delivery to northern and southern bayside areas, Sunshine and Gold Coasts and Ipswich.